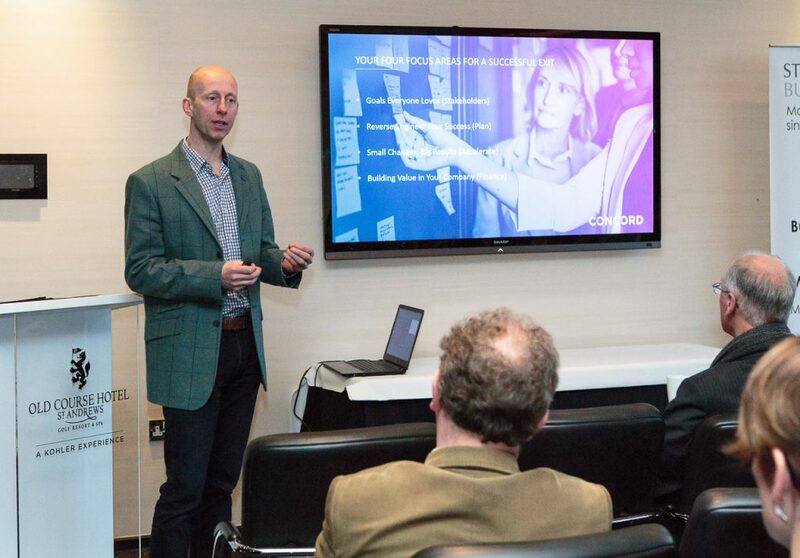 Ewan Menzies, Director of Castle Strategy, Mount Parnassus, Concord and CTA Global shared useful tips and advice to plan a successful exit strategy for your business and improve its performance at the Business Breakfast event held by St Andrews Business Club at The Old Course Hotel. In our fourth event of the year, Ewan Menzies, Director of Castle Strategy, Mount Parnassus, Concord Systems and CTA Global, shared valuable tips and advice to help members plan a successful business exit. Ewan involved the attendees with a ‘solve the maze’ activity to demonstrate how working backwards from a desired goal can be easier than beginning at the start and some thought-provoking real-life examples to improve the outcomes in business. Thanks to Ewan for sharing his experience and knowledge with us. Thanks to the Members, Guests and Visitors who attended the event.